Ecuador is one of the most biodiverse countries in the world and straddles the equator on the western coast of South America. Despite its relatively small size (about the combined area of the UK plus Belgium, or, if you are North American, the same size as the US state of Nevada) almost 1500 species of bird have been recorded within its boundaries, making it the country with the 4th largest bird list in the world. 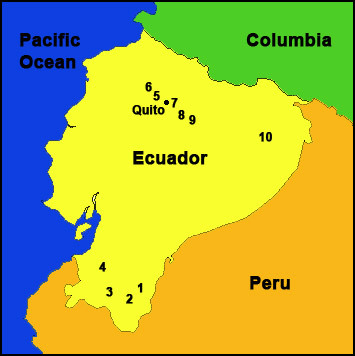 Ecuador is bisected north-to-south down its entire length by the Andes, and one of the reasons that such a high biodiversity exists is the enormous range of habitats contained within the country, from coastal mangrove swamps up to barren alpine snowfields then descending back down again to lowland tropical rainforests in the upper reaches of the Amazon basin. Most of the species adapted to certain altitudes on the western slope of the Andes also differ from those at similar altitudes on the eastern slope due to the isolating effects of the intervening mountain range and the harsh, arid conditions found in the inter-Andean valley. 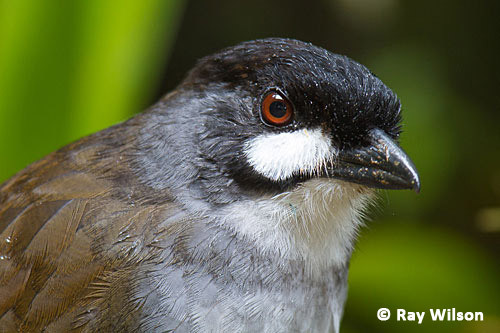 This has acted as an effective barrier to species movements, promoting speciation. My trip to Ecuador in December and January was to all intents and purposes split into two separate tours: a southern tour where I travelled completely on my own for 17 days; and a northern tour where I joined a workshop organised and led by top Canadian bird photographer, Glenn Bartley. Below is a rough, hand-drawn, clickable map of the major places I visited on this trip. Each link will take you to a page illustrated with photos taken at that location. 8. Guango Lodge & "the Antennas"